With heart disease becoming an epidemic in today's society, devastating many lives through the loss of loved ones & the age group of heart disease becoming alarmingly younger in the population, now is a better time then ever to STOP, EVALUATE & LOOK at your diet/lifestyle for areas where you may be increasing your risk of high cholesterol resulting heart disease. Let me tell you, It's easy to avoid just by following some steps below to which will guide you to the path of a wholefood diet, rich in plant sterols, vitamins, minerals & essential fatty acids e.g. Good Fats. You will also find below a table of foods to include & foods to avoid. If you are suspecting you may have high cholesterol always consult your Nutritionist for referral to have your levels checked & provide the guidance for a care plan to optimal health. Is most commonly know as your bad cholesterol. When you have high levels of LDL circulating through your blood stream it slowly attaches itself to the inner wall of your arteries which feed your heart & brain with vital oxygenated blood. Over time this build of plaque becomes hardened & thick creating a clot which blocks circulation of blood to these vital organs resulting in ﻿stroke & heart attack. Is commonly known as as our good cholesterol. HDL quite simply accounts for one third of total blood cholesterol carried around the body & actually protects against heart disease! How you ask? It does this by carrying LDL (SAD) away from the heart & back to the liver where it can be broken down and excreted by the body instead of building a cement wall in our arteries. Plant sterols are Lipids (Good Fats) found in the cells of foods such as Raw nuts & seeds, Fresh Vegetables. Plant sterols can lower your bad cholesterol. Plenty of water 2-2.5L per day. Swapping dairy milk for Oat Milk & Almond milk. Oat milk is high in plant sterols. Incorporating a fresh green juice into your daily routine. See blog for recipe. Using a cold pressed olive oil & fresh avocado instead of butter for cooking & as a spread e.g. Polyunsaturated Oils. Eating foods rich in EPA DHA like fresh reef fish. incorporating lots of variety in your fresh vegetables & fruits. Foods rich in antioxidants like Berries, Broccoli & Goji Berries will combat oxidative stress. Quinoa is the mother of all the Wholegrain family. Seasoning with fresh herbs, garlic, ginger & chili. Leafy Greens are rich in Plant sterols like Spinach, Kale & Bok Choy. Regular physical activity e.g. EXERCISE. At least 30mins, 3 times per week of high intensity cardiovascular exercise has been shown to reduce the risk of heart disease & can aid in lowering cholesterol together with the above dietary recommendations. Mediate & try yoga to reduce stress levels. 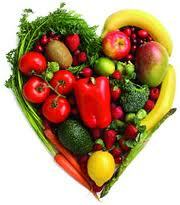 low stress levels have shown to be advantageous for optimal heart health. Preservatives, additives, artificial colours & flavours. Sugar - Refined white sugar. Salt & foods high in sodium e.g. Packaged highly refined foods. Canned foods that have high amounts of sodium for preservation. By following a Wholefood lifestyle & incorporating the above steps you can achieve optimal health with a strong vital force, skin that glows, a heart that smiles & high energy levels to achieve all your goals accross all areas in your life. Remember health is wealth & you can have it all in life through looking after the most important part of your life... YOURSELF. Follow my blog for recipes & tips which will help you achieve optimal health as education is power.